Colonization raises many weapons at the targeted. First, there are swords and guns, weapons that kill. Then, there are more insidious slower working weapons. Weapons that alienate people from skills that their ancestors have passed down for centuries. Weapons that make people forget what plants provide medicine and which ones poison. These weapons aim to extinguish cultures. They combine to break people, then, the ones raising the weapons can fully exploit the resources of the colonized. 500 years ago Hernán Cortés turned his weapons on amaranth as part of one such colonization. 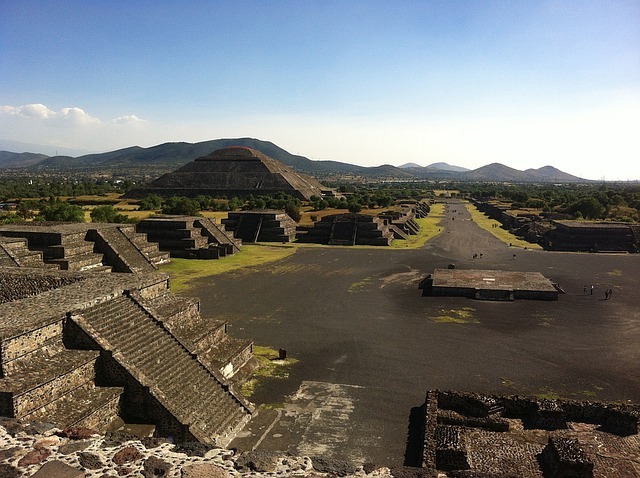 Tenochtitlan, located in current day Mexico City, was the capital of the Aztec Empire. Amaranth grows taller than an adult man, has red and green leaves intersected with purple veins, and flowers in bright shades of red, gold and purple. The leaves, flowers, and seeds are all edible and highly nutritious. Amaranth is more drought tolerant than many common crops. These characteristics have made it an important food crop in present day Mexico for over 6,000 years. Our current relationship with nature categorizes plants into edible, beautiful or pests to destroy. This singular view of plants makes it difficult for us to understand how a plant could challenge an empire. 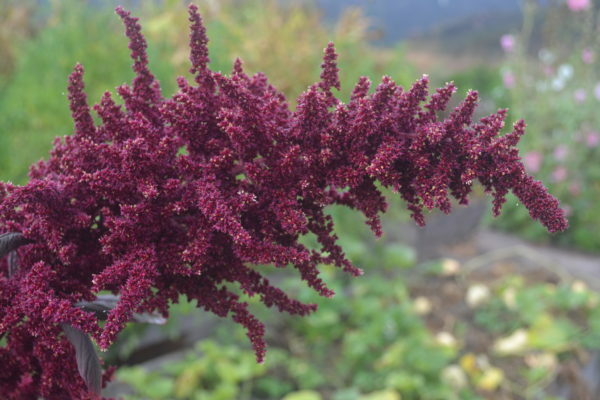 However, amaranth was more than a nutritious plant to the Aztecs. Emperors required farmers to pay a yearly tribute of the plant. One religious ceremony involved a mixture of amaranth seed and honey shaped into the image of deities, worshipped and eaten. 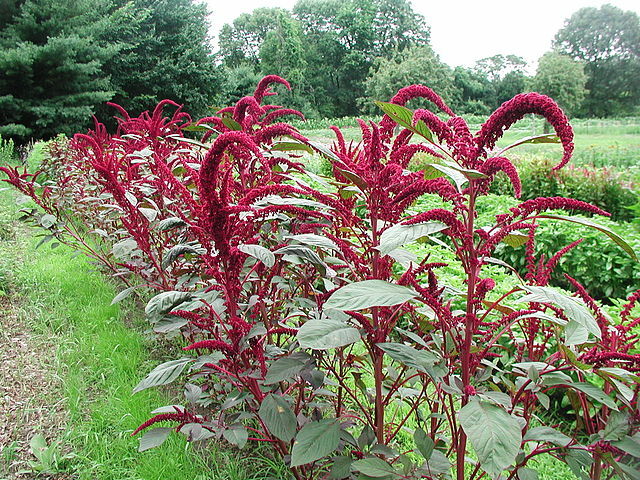 Amaranth was an integral part of the Aztec culture. When Cortés and his army entered the Aztec capital, Tenochtitlan, the architecture and city planning were a marvel to the Europeans. This did not stop them from decimating the temples, smashing the advanced plumbing system, tearing down the floating gardens, and torturing and killing its citizens. 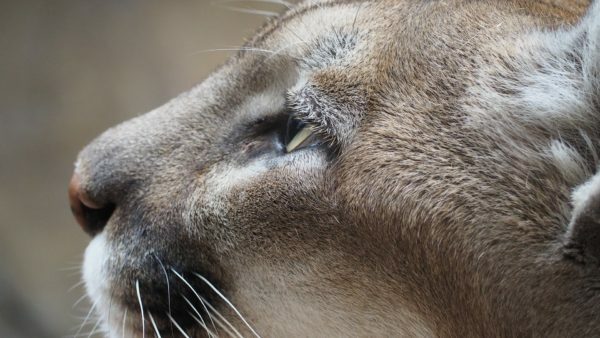 When the destruction was complete Cortés turned his attention to amaranth. Cortez correctly perceived that the amaranth was more than a mere food staple; it was a ceremonial and religious – perhaps even supernatural – essential. Thus it mattered not that the plant had survived several millennia to become the key crop of the Aztecs; it had a significance beyond carbohydrate and protein and thus, in Cortés’s view, had to be absolutely eliminated. Amaranth fields were burned. Furthermore, strict punishment, including death, was carried out for those possessing the grain. 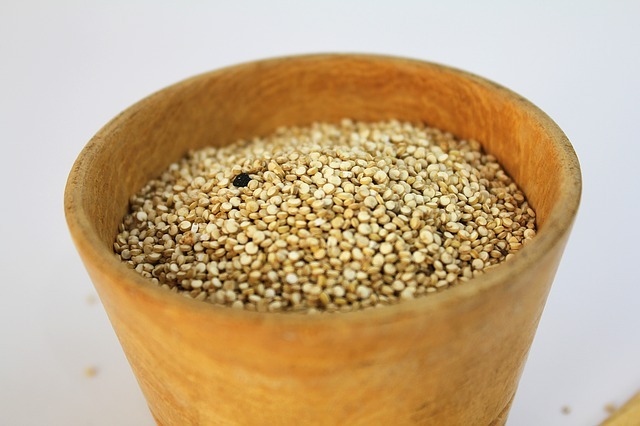 Amaranth is a highly nutritious containing more protein than rice. Had it not been a target of the Conquistadors, amaranth almost certainly would have spread throughout the Americas and been a staple today. Nevertheless, amaranth survived by spreading wild seed and through those cultivating it in subversive gardens. Today, there is a movement to revive amaranth as a staple crop in Mexico due to its high nutritional value and ability to withstand high temperatures. México Tierra de Amaranto (Mexico, Land of Amaranth), is an organization that aims to help impoverished communities in Mexico grow amaranth in small kitchen gardens. Many home gardeners are adding amaranth to their gardens. If you have grown amaranth you know that after one season of growth the plant will sprout up in wild places in subsequent years. Artifacts are easily smashed. But, plants set thousands of seeds from one parent and like people, sprout in more fertile soil. 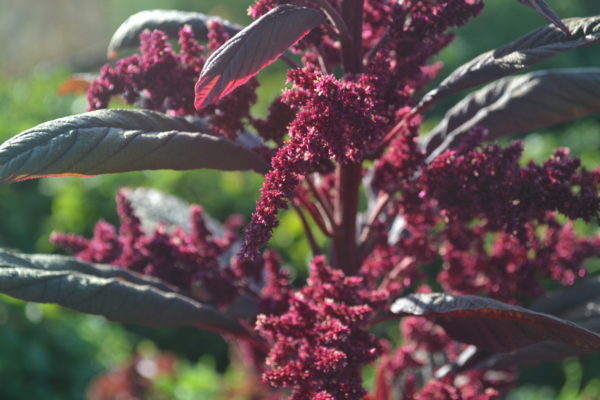 Check out this post for how to grow and cook with amaranth. I am interested in using Amaranth flour, for bread, noodles…is this doable? 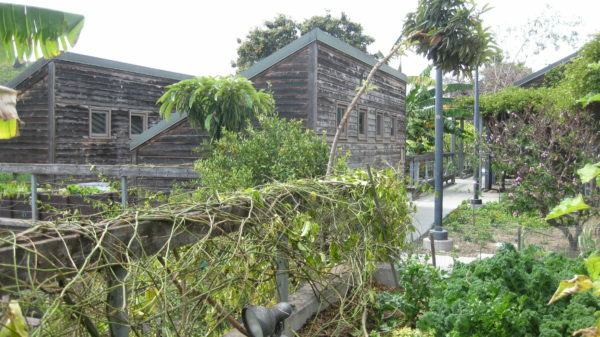 I want to plant as food bed front border , other plants behind, south facing area, little house overhang for smaller plants, light color painted cinder block house wall. If you do not grow enough to meet all your flour needs I use this store bought one. For growing amaranth, I would grow it behind your other vegetables. It is a large plant that might block the sunlight from your other veggies.